Last edited by Chad; 10-15-18 at 06:53 PM. Wouldn't you basically be immortal if you just keep letting yourself 'die' to relive the day? Who would want to stop that? You could do what you want impunity, my college antics game would be strong with that. Sure, we all want 'normalcy' but be rational. I think the elements of this is what makes HDD more 'fun.' The film did suggest she was getting 'weaker' every time but there wasn't a lot of convincing evidence for that. So many red herrings - this woman has the most hazardous existence ever, or rather the most lethally devious 'friends.' It's actually not a great movie to re-watch because so much of it is misdirection and the 'twist' explanation is so simple. The babyface killer hospital chase scene is my favorite part. I wonder how they will pull off the sequel. Cool Repo Man and They Live posters in the guy's dorm, this must be a Universal Studios picture. People who look down on non-R rated horror are fricking idiots. If the same person dies multiple times in a reincarnation cycle, how do we rule that as body count? Is it one death or multiple? Mind blown. Looking forward to this since I've never seen it. Took a little while for me to get into the tone of the movie, but after a while I really enjoyed it. It feels like a CW show to me with the acting quality and PG-13 level of violence. Saw this in the theater and now at home on Blu Ray. My feelings haven't changed - everything about this film is geared to 14-21 year old girls, which is not bad mind you, just not for me. The acting, the cast, the story, the level of gore all is focused on what young teen girls would want from a horror movie. 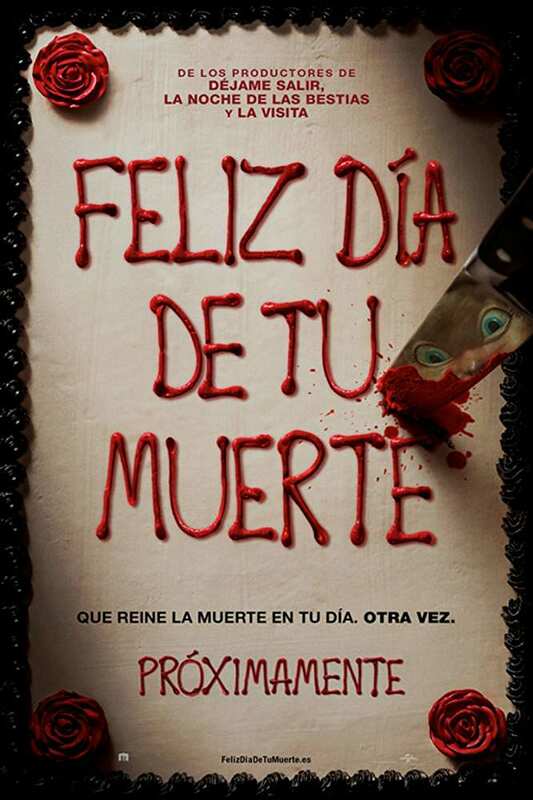 Similar to MTV Slasher show. Thought it was alright, though I called the killer immediately. Had a fun time with it, but I don't really see myself revisiting it. And is there some sort of running gag with teens/young adults not knowing who Bill Murray is? Pretty sure Zombieland did the same thing. 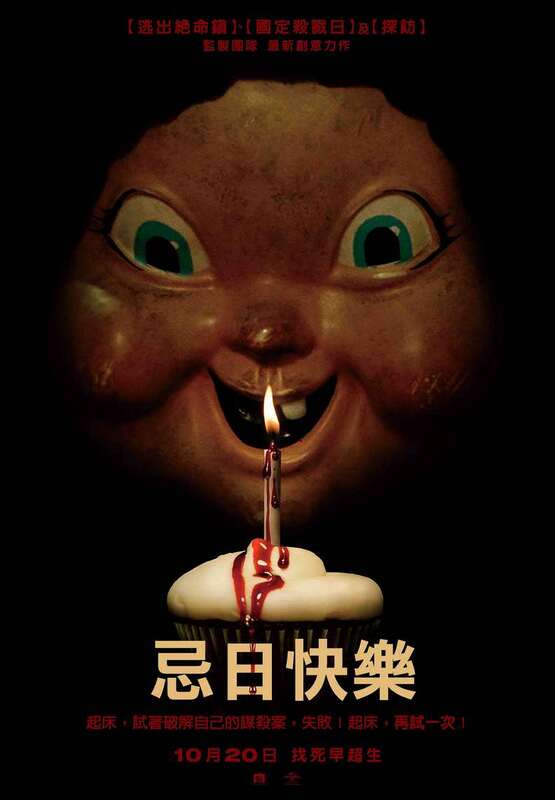 The sequel's being called Happy Death Day 2U, so I'd say that's a safe assumption. I had a lot of fun with this one and really enjoyed it and I'm an old guy. I didn't mind the lack of gore. There were a few little scares and one exciting scene (the chase through the hospital) but I was very intrigued at how it was going to play out. And I thought there were a few really funny bits. Everything seemed to make sense at the end in terms of who killed her when. I suspected the roommate early on but got distracted by other suspects and never focused in on the cupcake. I do wonder how well it would hold up for a second viewing. Also can't say that I'll rush right out to see the sequel. 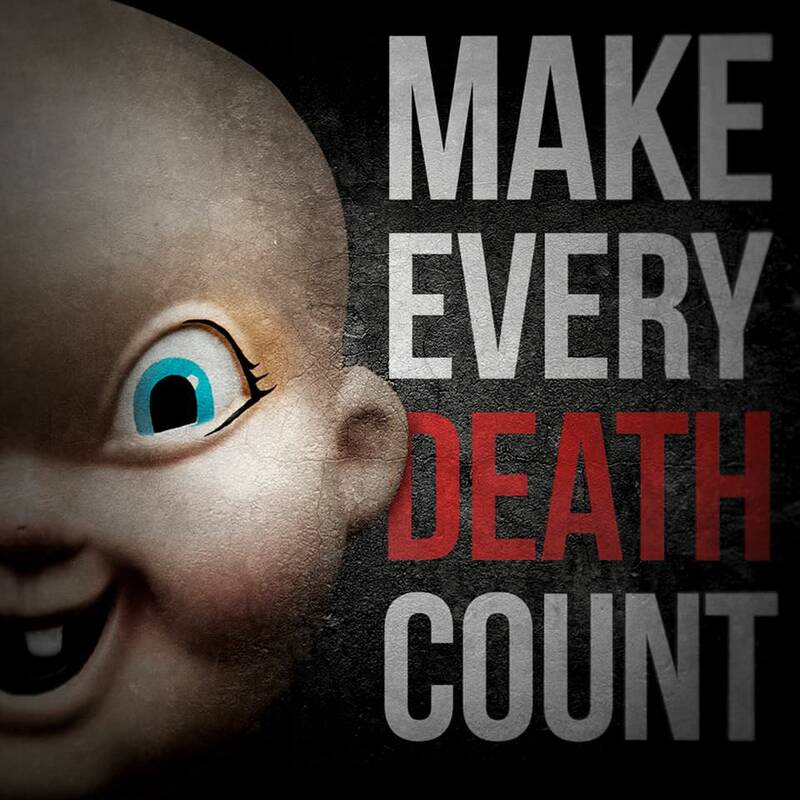 I loved the look of the killer but really, the school mascot is a Baby? The Bayfield Babies? I've heard of Banana Slugs and Anteaters but Babies??? Go Babies! Go! I dunno. The film did suggest she was getting 'weaker' every time but there wasn't a lot of convincing evidence for that. Well the doctor did say she should be dead with all the internal injuries and they would keep building up so I think eventually you might still be alive but not doing well at all. I also noticed a MST3K The Movie poster. I just assumed the mascot was supposed to be like The New Orleans Pelicans King Cakes Baby, whom they break out every once in a while. And he is damn terrifying. I really enjoyed watching this one. It kept me very engaged all the way through. I thought it was funny and clever enough. The girl's transformation to a decent human being was a little simplistic, but there are worst messages in the world. 7/10 for me. Glad it was on the subset list. second time I've seen this and I enjoyed it. I don't think it's geared towards teenage girls at all. It's a different twist on the Groundhog Day scenario. The fact that it has character growth from the main character is a plus for me. I don't give a crap about R ratings, either. I enjoy this movie a lot. 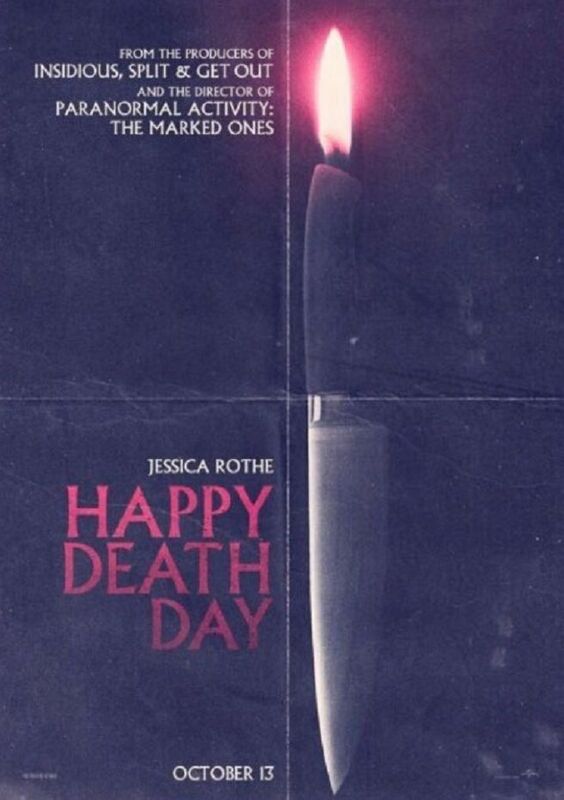 I think it just boils down to Happy Death Day being a comedy before a horror film and not the other way around. It's a nice diversion from the typical gloomy doom of intense horror films and for that reason makes a perfect mid-month subset film. I'm always interested to see how horror movies will break the mold and do something different - despite it's flaws at least HDD breaks away from Blumhouse formula. Last edited by Undeadcow; 10-10-18 at 09:17 PM. One thing I love about Horror is how amazingly diverse they can be. The huge variety of themes and checklist items we’ve had over the years shows it. I like raunchy scenes and gore sometimes, but usually find it lazy. I prefer a film where the makers have to find other ways to communicate ideas and scares. That, and my obsession with time travel and similar films, predisposes me to love this one I guess. I liked the montage of her eliminating her suspects list, thought it should have been longer. That's a good point. It felt like a palate cleanser for me today and that's probably one reason I liked it so much. Nice change of pace after 40 horror films so far this month! I liked this too. Probably would have liked it a little more if there was evidence that was available to prove Tree’s innocence at the end, but hey. I think I saw this trailer about 8 times over the month before this eventually came to theaters. I felt it was just another teenybopper movie and vowed to stay away. It got some good press, and I bought the blu from FV on the cheap. I wasn't too surprised to see it pop up for the challenge. I felt engaged for most of the movie, and liked the idea of the character growing/developing. I also really liked the idea of an accumulation of body insults that would probably lead to her real death should thing continue the way they had. I agree that with exception of the hospital scene, that really didn't seem to be the case. Fun movie and liked Jessica Rothe as the lead. In addition to 'Groundhog Day' the premise seems to be a nod to 'Live. Die. Repeat' with her awareness of dying to start the day over. I agree the toll/chances could have been developed better -- this was done with a number on the arm in 'The Girl Who Leapt Through Time'. I wondered if the scenes were filmed in sequence, especially with the character awareness and development. 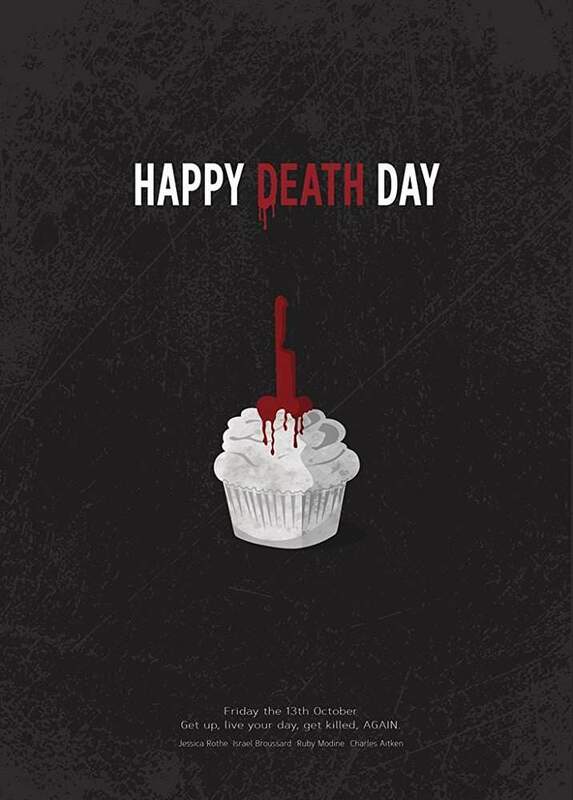 For some reason that really irked me and sapped my excitement for Happy Death Day. I was like really? You're gonna start off with a preview for another movie with the same plot? But the movie definitely won me over with its humor and energy around the 30 minute mark. I ended up really enjoying it. I understand that they're making a sequel, and my only wish would be that they find a way to make it more suspenseful. There were definitely multiple moments where they completely gloss over why our protagonist wasn't arrested on suspicion of murder, that was a bit sloppy. I liked it for what it was--a slasher thriller that was also very, very funny in spots. My favorite line came from Danielle, the sorority president, when she offers an explanation of what deja vu is. I was laughing so hard that I had to pause the disc to recover. I'm looking forward to the sequel and more Danielle. You would think by the second time, you would have a nice weapon and be ready. And when you swing the hammer, you jump on and keep going. You do not stop.And wouldn't you be happy you were not dead and can actually do something to stop it? And I cannot be the only one screaming to answer her dad's call, right? Seriously...just one of those days and not when she finally becomes to be a better person after death 10th or so? And she isn't in police questioning all night for killing someone or knowing how Toombs would be free? No idea how it got such good ratings and why there is a sequel coming out.I really thought the twist would be the person who killed her mother (we ever find out how she died) or the father.